He’s known for holding doors but what many don’t know is that he is also great at holding sick rages. Kristian Nairn aka Hodor has returned from the dead and will be heading to Sydney this October to bring you the deepest house beats from across all the seven kingdoms. 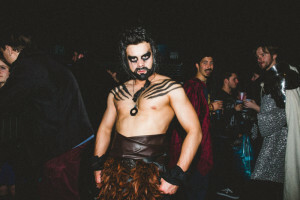 Unlike the Red Wedding, this is one Game of Thrones party you will actually want to attend. The Enmore will be transformed into the fine halls of Westeros, wherein patrons will be enforced by the hand of the king to dress for the occasion. So get your swords, woolly coats and dancing shoes ready because I heard it’s going to get pretty wildling (get it). Speaking of tough guys (and girls) like Hodor, do you think you’ve got what it takes to survive the most challenging course in Australia? This year featuring some of the roughest terrain, you’ll be constantly relying on your team to help you navigate your way through thick scrub, winding trails and neck-deep mud. The Tough Mudder is not for the faint hearted – it’s an 18 kilometre obstacle course designed to drag you out of your comfort zone by testing your physical strength, stamina and mental grit. For those not so keen on complete and utter physical exertion, there’s also the option of the Half Mudder, which promises all the mud with half the distance. Some of us enjoy doing challenging obstacle courses in the mud, others (myself included) prefer the simpler things in life like dining on golden, crispy fried chicken and rich, fruity wine. Mouth-watering yet? When news of a fried chicken festival is discovered, demand grows very quickly. Originally this was to be a onetime event held during May this year, but after it sold out in a manner of hours they decided to throw it again. This means you have been granted a second chance at sampling the goods from Belly Bao, Butter, Mary’s, The Erko and Hashtag Burger. 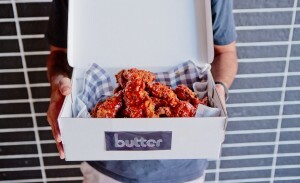 We’re talking wings, ribs, sandwiches, burgers and chocolate fried chicken with candied bacon (heavy breathing). All refreshments will be provided by Cake Wines. This week the Ritz Cinema will host the 2016 Sci-Fi Film Festival, serving up a feast of speculative delights for avid fans and optimistic newcomers alike. Over five days, the festival will showcase seven of the best and most innovative new sci-fi features and shorts from around the world. The opening premier will be Equals, staring Kirsten Stewart and Nicholas Hoult. Other highlights include The Purge: Election Year (the third installment of its franchise), Rupture (Director Steven Shainberg’s 10 year return) and This Giant Papier Mache Boulder Is Actually Really Heavy (an award winning New Zealand independent film with a very intriguing title). There will also be presentations, including one by concept artist Tani Kunitake who worked on Star Wars: Episode VIII and The Matrix. 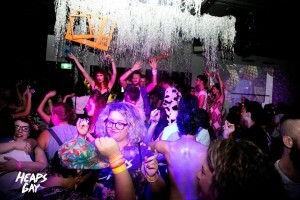 Heaps Gay, the party collective and celebratory body of all things queer, is turning three! To commemorate this momentous occasion they’re throwing a big bash at The Imperial Hotel presented by MoVement Sydney. You don’t have to be gay to attend, but you better be ready for a huge party with more than 30 artists, dancers, musicians and DJs getting turnt across three technicoloured levels. There will be live performances by CC:Disco, Heart People, Kimchi Princi, Donatachi and drag cover band The MAGDA Szubanskis.